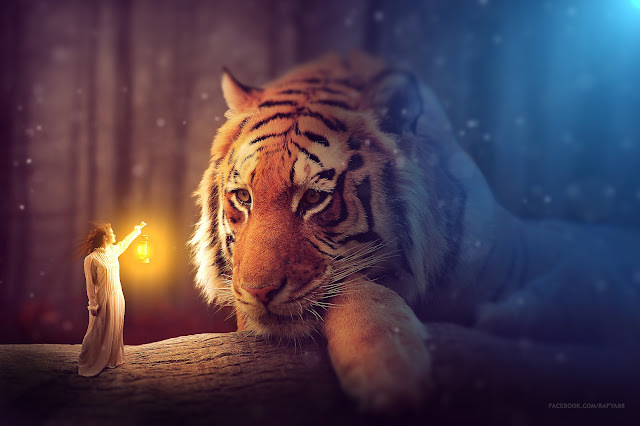 This video will show you how to make fantasy manipulation scene effect in Photoshop CC 2015, by compositing some images, adding light, particle effect, and adding nice color effect, i hope you enjoy the video. everything went fine until I tried to do the blue in the corner. For some reason my wholescreen gets covered white on the left side and blue on the other and its solid you cant see through it. I am doin everything exactly the same but mine isn't turning out like yours. Please help! I had the same problem, but I just kept messing with everything till I got it like his. Then even after I got it I still messed around with it until It looked almost 100% like his. Bisa skill gini belajar dimana bro? you are awesome!! but i want stock image whenever i want to download this stock error comes in please help Rafy!! i'm your big fan! !